When Elton John tickets went on sale for two shows in Washington, DC in February, my friend Meg and I immediately agreed that the Friday, September 21st show was best, so we bought tickets for that night. At some point in June, it was announced that Steven Page was going to tour the US, and a show was announced for The Tin Pan in Richmond. I was very excited to read this, until I discovered the date for that Richmond show was (you guessed it) Friday September 21st. For a day, I was bummed that one of my favorite artists was going to play one of my favorite music venues, and I was going to miss it. After a day, I checked Page’s tour itinerary and found that he was playing Rams Head On Stage in Annapolis, Maryland on the following day. And, the bonus was that, unlike the Richmond show, the Maryland show listed Wesley Stace (AKA John Wesley Harding) as the opening act. I immediately bought a ticket, even though at the time of purchase, I did not know a) How I was going to get to Maryland, b) Where I was going to stay or c) How I was going to get back to Richmond. None of that mattered at that moment. I figured things would work themselves out. Meg was kind enough to drop me off at my friend Kurt’s apartment in Northern Virginia after the Elton John show, so thanks to the both of them (and Kurt’s wife Valeria), I had accommodations for the evening, plus Kurt had bought a ticket to the show, so we would travel to Annapolis together. Things worked themselves out, as I had hoped, and the stars were aligned for what would in fact be a ‘dream show’ for me. With that opening line, said while tuning his guitar, Wesley Stace began the afternoon’s proceedings. This was a 1:00pm matinee show, and it seemed no one affiliated with the show had any idea why it was scheduled in the afternoon instead of the usual 8:00pm. Now, I must provide a bit of history. I have been a fan of Wesley Stace, who at the start of his career worked under the moniker John Wesley Harding, ever since I heard a song of his on a mix tape that a mutual friend made for Kurt in 1993. I was in Kurt’s car the first time I heard ‘July 13, 1985’ and, from that moment twenty-five years ago, I was a fan. I went out the next week and bought the CD that had ‘July 13, 1985’ (‘It Happened One Night’), and from that point on tried to stay up to date on his releases. I really really like Steven Page…but I attended this show primarily for the opener. I had been waiting 25+ years to see him in concert, and, as expected, he did not disappoint. Then the moment became truly surreal. After checking his phone to see what time it was (he set a hard stop of 1:30 so he could then drive home to Philadelphia to see his son’s 4pm soccer game. ‘Totally doable,’ he quipped. ), Stace began to talk about the next song. Now, Kurt and I both had tickets to this show, but the venue was one that had reserved seats at tables, so while we both attended the same show, we did not see the show together, and it was obvious that almost everyone else around me had no idea who Wesley Stace was, or what was about to happen. To be able to witness Stace performing ‘July 13, 1985,’ a song I would never have dreamed to hear live, that was a truly wonderful and surreal moment. Stace even tacked on a different ending from the recording that I have heard for the last 25 years. Hearing that song live will rank as one of my all-time ‘Glad I Was There’ moments. There was all of that surreal nostalgia, and I still had a set from Steven Page to look forward to! Kurt, Valeria and I had the pleasure of seeing Steven Page with The Art of Time Ensemble in February at The University of Richmond. That set however consisted primarily of songs that meant a lot to Steven, and were songs mostly by other artists. It was great to hear Page take a turn on a Leonard Cohen vocal and sing Radiohead. 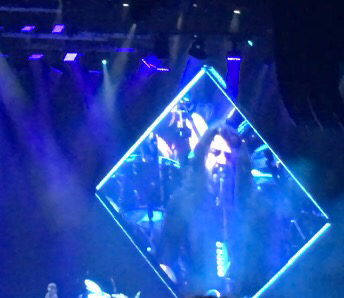 As great as that was, I was really looking forward to seeing Page sing some of his own songs. The band is officially called ‘The Steven Page Trio’ and includes Chris Northey on guitar and Kevin Fox on cello. The set opened with ‘There’s A Melody II’, a track from Page’s 2016 solo effort “Heal Thyself Pt. 1: Instinct” and then seamlessly the song segued into the BNL classic ‘Jane’, assuring me that we were going to hear some of the old songs even though Page just dropped a new album earlier this month (“Discipline: Heal Thyself, Pt II”). The true icing on top of the cake was the fact that Page sang the chorus to ‘Rock And Roll All Nite’ not once but twice! The first was during the improv piece ‘The Feelgood Strum,’ where the trio sang lyrics to many classic songs over the same chord progression. ‘My Girl’ was featured and the KISS ‘Klassik’ was played before segueing into ‘Linda Ronstadt in the 70s.” He played the chorus of ‘Rock And Roll All Nite’ again as a slow piano ballad during the intro to ‘Call And Answer.’ Those moments, along with hearing ‘July 13, 1985’ served as proof that I was supposed to be at this specific show. 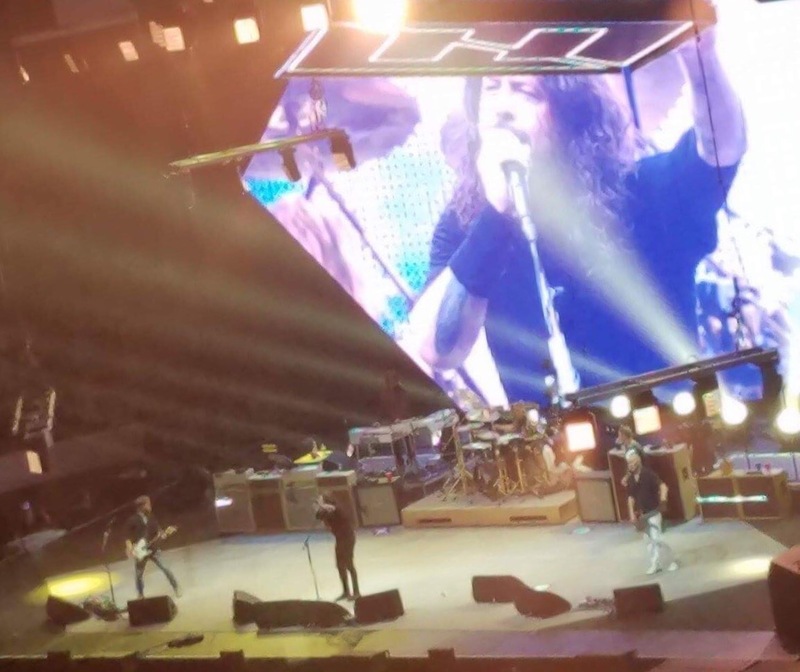 I don’t know if Wesley will play ‘The Live Aid Song’ again soon, or if Steven will be moved to play a portion of ‘The Rock And Roll National Anthem’, but I was ecstatic to be able to witness both of those things on Saturday. Thanks once again to Meg for getting me to my second destination, and special thanks to Valeria for ‘holding down the fort’ Saturday so that Kurt and I could go have fun. That I got to share this show and hear ‘July 13, 1985’ with Kurt, that was a very ‘full circle’ moment. You don’t get those too often in life, so it’s important to take note when they happen. Tuesday night I had the pleasure of seeing Alan Doyle play a very small local music venue. Who is Alan Doyle, you ask? He’s best known as one of the founding members of the band Great Big Sea, who tried their best to hit the big time in the US in the late 90s and early 2000’s after conquering their homeland of Canada a few years before. While they would play to stadium sized crowds in Canada, Great Big Sea (GBS) would play small theatres and clubs in America, where the crowds were smaller, but no less enthusiastic. GBS is pure nostalgia for me. Their music marks a very specific time period in my life, and reminds me of very specific people. I honestly was not aware that GBS had officially split in 2013. When I heard that Alan Doyle was going to appear at Tin Pan, I knew I had to get a ticket to see what he’d been up to since I last saw him fifteen years ago. Tin Pan is an interesting, intimate venue in the mold of Alexandria’s Birchmere. They offer dinner reservations with your ticket for preferred seating, and the music, not chatting is the most important thing. After a funny, sardonic and brief opening set by Donavan Woods, Alan took the stage to sing a song a cappella, proving that his voice is still in top form, then his band Beautiful Gypsies joined him and they started with ‘I Can’t Dance Without You’ from Alan’s latest solo effort, 2015’s ‘So Let’s Go.’ The mix was great, the house was packed and I was pleased to see Alan had not lost any of the gregariousness that made him my favorite member of GBS. The sing-along started early when the band kicked into ‘When I’m Up’ and Alan demanded audience participation. It was around this time of the night when the crowd began buying Alan shots and doubles of Jameson Whiskey, which Alan never refused. No matter the size of the stage, Alan is a showman, making sure that everyone in attendance has a good time. Even though we were seated at tables and the bar, dancers got up and waltzed, reeled and jigged. The biggest surprise for me was that, while with GBS, Alan would sing at least one ballad per album. 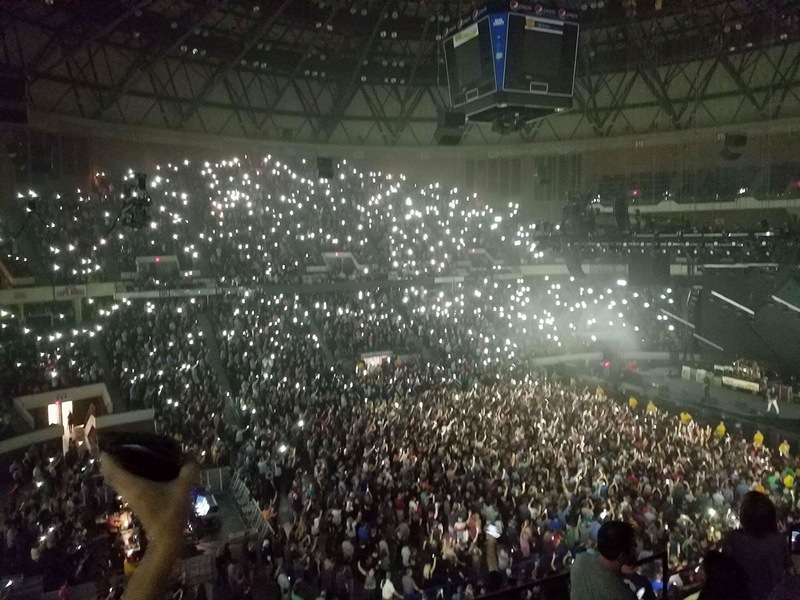 His set Tuesday was more upbeat and, as such, none of the three pop ballads Alan sang (‘Fast As I Can’, ‘Boston and St. John’s’ and ‘Clearest Indication’) were highlighted. Not that I minded, I was just very surprised. Bonus: Murray Foster, formerly of Moxy Fruvous and mote recently the bassist for GBS is part of Alan’s band, as is former GBS drummer Kris MacFarlane. As the show ended, Alan implored fans to stick around for autographs and selfies. Instead of sitting behind his merchandise table, just outside the venue in an entrance hall, Alan took a seat at the bar and the fans queued up to get a pic, a signature and share stories. Props to Alan for taking time with everyone, including a ten year old girl who got a drumstick from Kris and the setlist. Alan autographed the setlist and got a picture. He also spoke for a bit with your dear author, whom he remembered from a meeting a very long time ago. 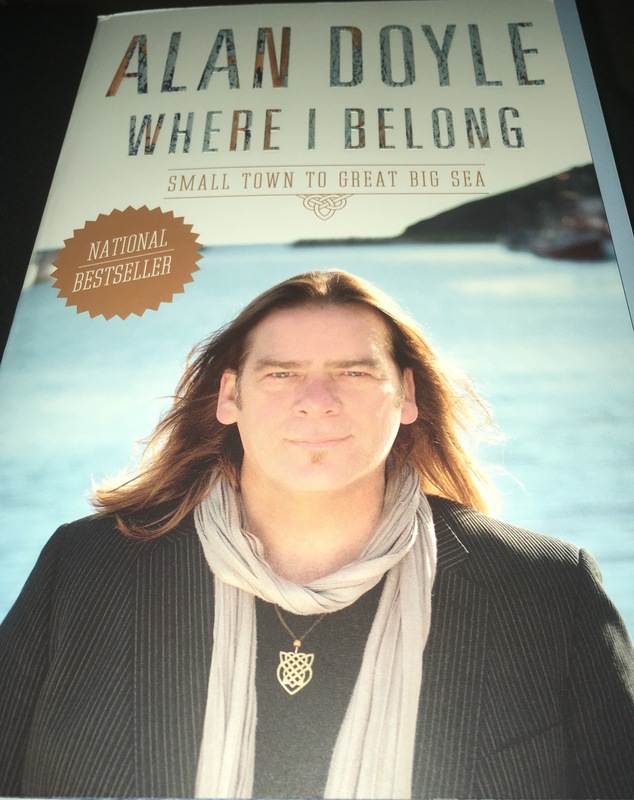 If you’re like me and lost track of Great Big Sea and their members, Alan has two solo albums (“Boy on Bridge” from 2012 and the aforementioned “So Let’s Go” from 2015) and he’s also written a book. If Alan Doyle, the self-proclaimed ‘Prince of Newfoundland’ and his band of Beautiful Gypsies land in your town, go see him and say hello. It’s a good time, I promise.